Finely ground fermented latakia tobacco blended with a little flue cured first priming Virginia Lemon leaf, to create a unique, slightly moist, pungent, peppery high nicotine snuff, with an intense smokey flavour. That does sound good ... 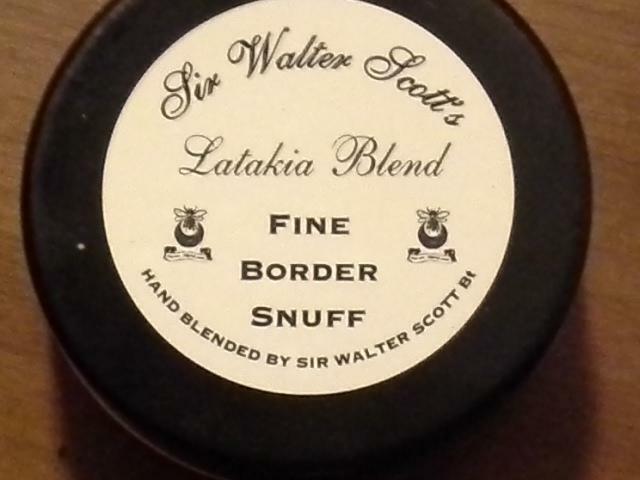 I really need to try some Latakia in one of my homemade snuffs. Sounds like something I need! 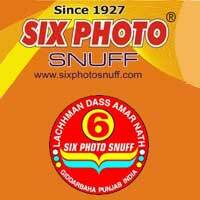 I have to wait a bit, Just put in a big order in with Mr.snuff on the 4th. I made a Mr. Snuff order about two days too early! 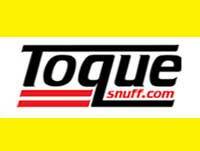 That being said, it's taking some will power not to make a special order just for this snuff. Looking forward to Latakia Blend! Just ordered some. I used to absolutely love the F&T Ashtoroth (or something like that) which was a silky Latakia with jasmine. Very interested to see what Sir Johnny has done with his Latakia; I'm sure it will be as fabulous as his other snuffs. Can't wait!!!! @lunecat thank you so much for the info! I'm definitely going to have to get my hands on some of this!! If you like really smokey campfire dark snuff, that lasts a good while; this is it. Coarse Grind & Moist. Fans of smokey American Scotch may enjoy this for it's flavor But unlike a scotch Latakia Blend needs a bit more insufflating and even a squeeze to keep it in place. The Nicotine is nice also. Very relaxing. Latakia tobacco in the pipe world is used as a blending component with other tobaccos, rarely used straight although some Lat lover had smoked it for a real Lat bomb. The mad scientist in me, may just try my hand on mixing up a few concoctions of my own. Very relaxing smokey but so natural. you can feel the lemon after awhile,i was wondering what is this other scent can t figure it out and then you discover that is lemon like lemon Peel. Just wondering, when i take latakia blend i make some weird dreams, i often dream about dead people like grand fathers and several times i had the feeling it was like i was truly reliving those old times and then i wake up remembering the weird dreams and not feeling very well. Does this happens to you to ? Maybe the latakia scent reminds you of something in your own history, and this is triggering the memories in your dreams.